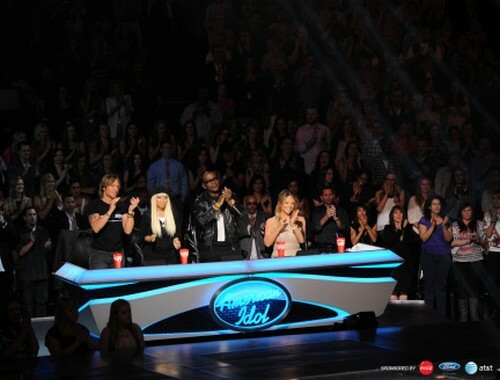 American Idol Results Show RECAP 3/14/13: Top 9 Announced! AMERICAN IDOL returns to FOX tonight with a new episode. On tonight’s show America finds out who received enough votes to continue in the competition and who will be sent home. Did you watch last week’s performance show? We did and we recapped it here for you. On last night’s show the Top 10 finalists performed “Music of the AMERICAN IDOLs,” which included songs performed by any past IDOL winner. The competition is really heating up and anyone who wanted to stay in the competition really had to bring their A game last night. On tonight’s show world-renowned rock group Bon Jovi will perform their lead single “Because We Can” and quadruple-platinum, Billboard chart-topper and AMERICAN IDOL winner Phillip Phillips will perform “Gone, Gone, Gone,” the second single from his debut album. “Gone, Gone, Gone” also will serve as the “goodbye” song of the season and will be featured when the IDOL finalists are eliminated each week. The finalists will also perform their first group number, “Shine Your Way,” from the motion picture soundtrack for the upcoming DreamWorks Animation comedy, “The Croods.” The original track is performed by multi-platinum recording artist Owl City and artist Yuna. By the end of the evening America finds out who received enough votes to continue in the competition and who will be sent home. The show airs tonight at 8PM and goes until 9PM EST. It is sure to be an episode you do not want to miss. AMERICAN IDOL RESULTS SHOW ELIMINATION LIVE RECAP HERE!